In this DIY guide we give a run down on all the different types of drills, drill/drivers, combis, hammer and SDS drills and explain what each should be used for and what features you can expect with each particular model. You will also learn about what each setting is used for and how to setup your drill correctly in order to drill holes or screw in screws. There is a massive range of different drills, drill/drivers and impact drivers available today, each with a range of different power outputs, types of chuck and drill bits they accept, methods of power supply e.g. cordless or coded and if you are looking to purchase one, the range of options can be very confusing. With all of these different features available, how do you know that you are purchasing the right drill for your needs? With this in mind, this DIY guide will run through the main different types of drill, drill/driver and combi drill etc that will also cover pretty much any drilling job found in the home and explain what each should be used for. What is the Difference Between Corded and Cordless? Firstly, before we into the nitty gritty of the different drills and what they do, it’s a good idea to look at the main sources of power that each drill type, whether it’s a rotary SDS drill or small light use 10.8V drill/driver will use in order to do it’s drilling or screwing. Each different type has it’s own advantages and disadvantages and one is not necessarily better than the other, it really comes down to what you will be doing and where you will be doing it. 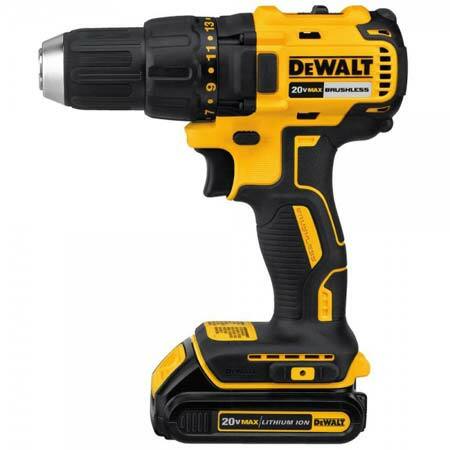 For example, if you are going to be doing a lot of drilling and screwing on site, where mains power may not necessarily be available, then an 18v cordless drill/driver would be the way to go. 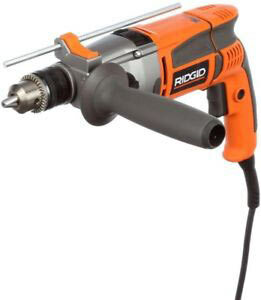 But, if you are only going to be drilling a few holes now and again at home to put up some shelves etc, then a corded drill would be perfectly suitable. If you have ever looked at a battery, you may have noticed that it has printed on it somewhere, “Ah” or “amp hour”, with a number also next to it e.g. 1Ah. Essentially, this is how long the battery should last. In the case of a 1Ah battery, this means that the battery itself should supply a constant current of 1 amp for a period of 1 hour. This figure can be used as a very rough estimate of how long the battery on your drill will last (rough due to the fact that loads on the power draw will increase/decrease depending on what you are doing). There are also several different types of battery – the older NiCad (nickel-cadmium) and the newer Li-ion (Lithium Ion). On the whole, Li-ion batteries tend be slightly better in that they do not suffer from the “memory effect” that NiCad batteries do, they are also low maintenance and tend to weigh a lot less, but they are more expensive. If looked after correctly, both will last around the same number of charge cycles and in terms of performance, both are pretty much the same. Tips: If you are looking to purchase a new drill/driver, always look for a drill/driver set that features at least 2 batteries. Batteries are expensive to buy separately and having only one battery is a real pain as if you need to do a lot of drilling and screwing, having to stop and wait while the battery recharges is not ideal! Most decent drills aimed at professional tradesmen will feature at least 2 decent 2 amp hour batteries. Sets of this type might be more expensive, but you’ll be glad you spent the extra when the pressure is on to get a job finished and your battery dies and you can easily swap to a fully charged one! What’s the Difference Between a Keyless Chuck and Keyed Chuck? The answer to this question is really in the name – one uses a key and the other doesn’t. To explain a little further, in order for you to be able to drill holes or screw in screws, the drill bit or accessory you’re using must be firmly held in place in the chuck so that it can rotate and grip or bite. In order for this to happen, the jaws of the chuck must be screwed down firmly on to the bit or accessory so that it rotates along with the chuck. To do this, traditionally a key was inserted into the side of chuck that was used to turn a gear that then wound the jaws in or out, depending on whether you were loosening or tightening. With a keyless chuck, there is no key and the act of tightening the jaws is done by hand, which does make it much easier and quicker to use than a keyed chuck and with this in mind, many of the drills and drivers on the market feature keyless chucks. In terms of construction materials, all keyed chucks should be made of metal (they wouldn’t work too well if they weren’t). Keyless chucks can be a bit of a mixture, either solid metal or metal innards with a plastic outer. Generally, the all metal ones are the most reliable and hardwearing so these are the ones to go for. The smaller the bit, generally, the lighter the work it should be used for and the larger the bit capacity, the more capable and heavy duty the drill should be. 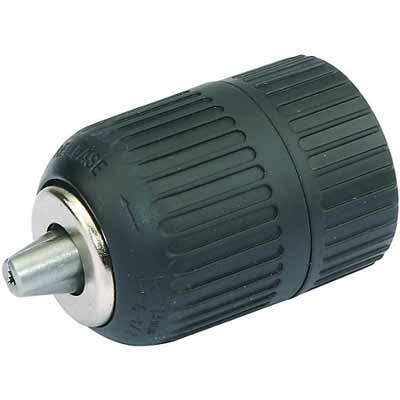 On the whole, today, keyless chucks are certainly the preferred choice due mainly to their speed and ease of use, but they are a fair bit more complicated in terms of their composition than traditional keyed chucks, making them a little less reliable and more expensive. What’s the Difference Between a Brushed and Brushless Motor? This all has to do with the type of motor that your drill is using. In essence, regardless of the motor type they work in pretty much the same way. In very basic terms, in a brushed motor, the brushes are used supply a current to the motor windings through a set of communicator contacts. A brushless motor does not use these communicator contacts, instead, current is switched on and off via an amplifier that is in turn triggered by a communicator such as an optical encoder. To those without a degree in engineering this doesn’t really mean much, but what is important is the way in which this helps the motor to operate. Generally, brushless motors generate more power and are also more efficient than their brushed counterparts. 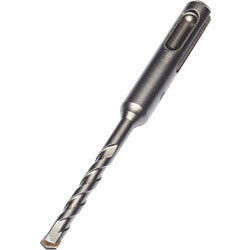 They are also smaller and lighter meaning a brushless drill is much easier to work with over longer periods of time. 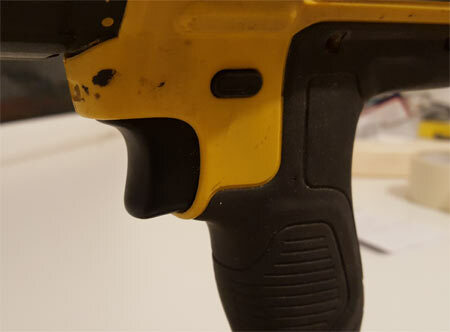 From the outside, a drill with a brushless motor won’t look too much different to a drill with a brushed motor so generally the only tell will be the fact that it should be written on the drill somewhere. The standard drill/driver is kind of like the entry level option when it comes to drill/drivers. They are generally suited to drilling into timber and softer metals such as mild steel etc and for screwing in screws, making them ideal for light woodworking projects and lighter DIY jobs around the home. 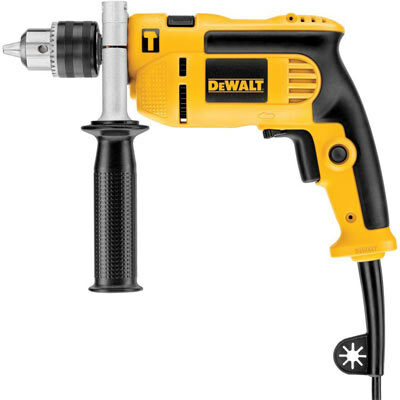 Although they are capable of drilling into masonry, they will struggle slightly and it will put a lot of strain on the drill as a whole so their not really recommended for these tasks, as these jobs are more suited to a combi or hammer drill (see below). As they are a lower spec than a combi drill, they generally tend to have less features so will not have the selection of torque settings that a combi will have, instead opting usually for a 1 – 3 speed setting control. Standard drill/drivers also tend to be a little less sturdy than their combi counterparts, making them unsuitable for the rigors of the site environment and more suited towards the home environment. They generally tend to be less powerful also. Where as combis tend to be up around the 18 volt mark, standard drill/drivers are normally around the 10.8 volt to 14.4 volt mark. 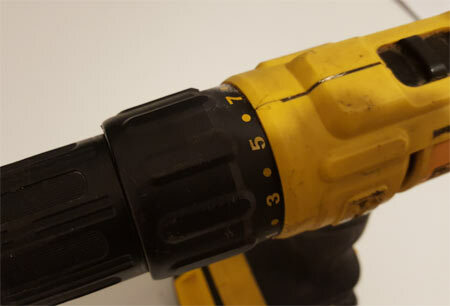 In essence, the combi drill-driver is a bit of an evolution on the standard drill/driver. It’s a little more feature packed and hardwearing. It some cases, these are also referred to as hammer drill/drivers as they normally feature a hammer action setting that can be used when drilling. Due to this they are generally regarded as the option for professional tradesmen as they are much more sturdy in terms of build quality so that they can survive life on site where in most cases they will be kicked over, dropped etc so they have to be able to withstand this kind of daily punishment. When it comes to features, they also tend to provide more options over the standard drill/driver for drilling and screwing. Generally, all decent combi drills will feature at least a 2 speed gear box to allow for high speed drilling and low speed, high torque screwing. In some lower quality makes and models, the gearbox will feature plastic gears. As I’m sure you can imagine, these aren’t destined to last that long so always look for a combi drill with an all metal gearbox. Another essential feature for a capable combi is a range of torque settings. Normally, the level of torque can be adjusted by a rotational selector switch located between the chuck and the main body of the drill. This allows you to set how much torque the drill can output to the chuck before the clutch slips and then disengages the motor. It’s well worth spending some time getting to grips with the torque setting of your drill as knowing exactly what setting to use can mean the difference between sitting your screw head nice and flush with the surface when you are screwing it in or driving it straight through it spoiling the finish. The importance of this getting used to this is not to be under estimated. Generally, a good quality combi drill will have at least 15 torque settings as well as a specific setting for drilling and another option for hammer action when drilling. Some other options to look for are forward and reverse settings allowing you to change the rotational direction of the chuck and of your drill bit or screwdriver bit. The impact driver or percussion driver as they are also sometimes known is a relatively new tool that’s come on to the market over the past 10 years or so. 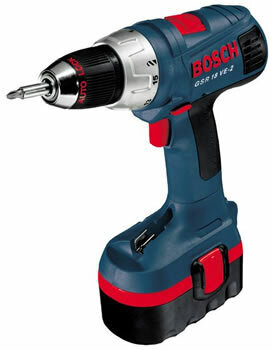 It’s primary purpose is mainly for screwing in screws and heavier duty work that may be beyond a traditional driver, but in some situations it can also be used as a drill as it operates and high speeds and, due to it’s quite compact build, can be used to get into tight spaces, were larger drills are unable to access. 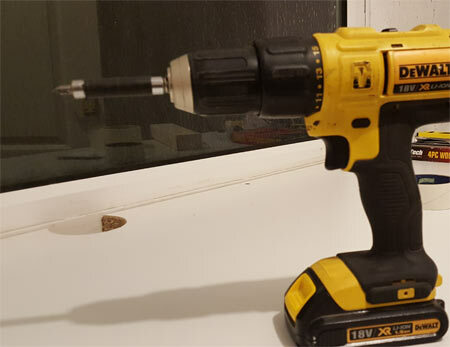 The impact driver is a fantastic tool and certainly the piece of kit to use if you screwing in a lot of large screws, or indeed screwing into hard surfaces. 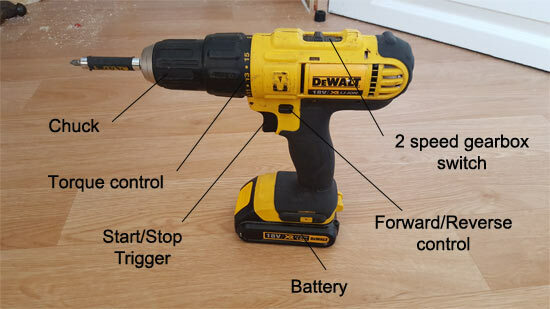 Where a normal drill/driver, combi drill will only rotate in order to screw in a screw, with any additional downward or inward force being applied by the user, the impact driver features a hammer action that, with every half turn, not only rotates but also hammers down on the screw you are screwing in. This enables you to insert large screws into large timbers with ease. We did test this ourselves when we first got hold of one of these tools a few years back. With ease, we were able to screw a 6 inch 10mm screw through a 9 inch piece of timber without breaking a sweat! 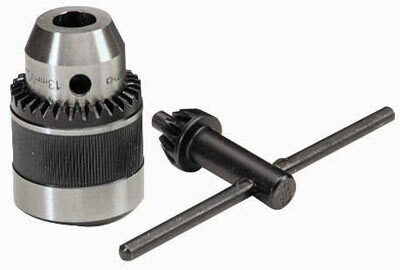 You may also notice that the chuck is a little different to a traditional drill/driver. In essence it is more like a hex socket that a chuck so there is no winding in and out of any jaws in order to hold any divers bits. As most driver bits and adaptors are effectively hex bits, the chuck is designed so that the bit or adaptor can slot straight in, making swapping for different bits much easier. 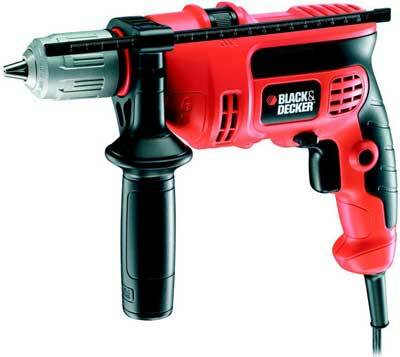 The basic power drill or hammer drill has been the standard method for making holes for many many years. Traditionally, it would have been a straight, no frills drill, with maybe a switchable 2 speed gearbox on more advanced models, or if no gearbox was featured, the rotational speed of the drill was controlled by how much the on/off trigger was depressed e.g. pulling the trigger slightly would strart the drill slowly, while pulling the trigger right in would run the drill at full speed. With more modern power drills a switchable hammer action feature was introduced, allowing the user to use a standard drilling action when drilling timber or metal, but would be able to turn on the hammer action when drilling masonry or stone etc. When it comes to the hammer action, this is pretty much the same as the is described above for the impact driver, only a fair bit more powerful. As well as the drill bit rotating through the spinning action of the motor and chuck, it is also “hammered” up and down through a hammer mechanism build in to the dril. When drilling masonry, using the hammer action is a much more efficient method of drilling holes, but it should never be used when drilling metal or wood as it essentially as the opposite effect and also damaged and blunts your drill bits. As well as a hammer action, most power drills today will feature some form of rotational speed control, either through a gearbox of trigger operation. The general overall power of these types of drills is measured in watts, with most lower powered variants e.g. around 550w being a base level entry option. Better quality, more powerful options will be up around the 750 – 800w mark, so depending on your requirements, always check out power output. Some manufactures will prefer to give the rotational speed of the tool e.g. 2700 RPM (revolutions per minute). Generally, the higher speed the drill, the more powerful it will be. In reality, a 550w drill will be more than capable of tackling any jobs around the home, so this should be fine. The higher power options are generally geared more towards the professionals. When it comes to fixing and holding your drill bits, pretty much all lower powered options will have a standard keyed chuck, where some of the more powerful and expensive options will feature an SDS chuck – more on this below. Due to the power of these drills and the need for a constant, sustained supply of that power, pretty much all options are mains power (either 240 or 110v). It is possible to get cordless versions but they are much more expensive and mainly aimed at the tradesmen for use on site. When it comes to hammer and power drills, these really are the daddies! They can also sometimes be known as kango hammers or pneumatic drills. 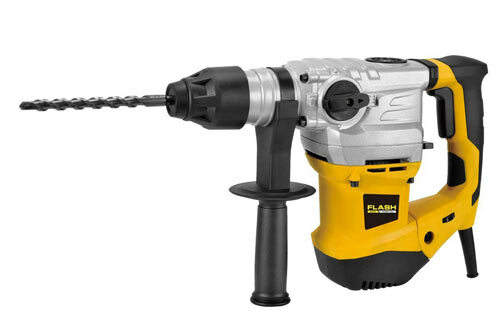 Although the standard power drills above are more than capable of drilling fairly large holes (up to about 10mm), these beasts are primarily designed for heavy duty hole drilling and masonry work and are capable of eclipsing the power provided by the standard drills. If you have every wondered what type of drill should be used to drill a 4 inch hole in the side of your house so that you can put in a new soil pipe, then this is the tool to use. As I’m sure you can imagine, the power needed to drill a hole of this size using a core bit is huge, so these tools have been built with this purpose in mind. Unlike the standard drill above that uses a mechanical hammer action when hammering, this tool uses a pneumatic action that is generated by a small piston that compresses air against a spring loaded metal plate which in turn then transfers this force through to the bit. The measurement of this hammering or bumping power is measured in BPM or blows per minute, with each blow being measure in Joules. On a basic level, the more joules or energy that is generated and the higher the BPM, the faster you will get through the material your working on. When comparing standard and rotary drills, one thing that might jump out is the fact that the BPM of a standard drill will nearly always be much higher than that of a rotary drill. This is because the rotary drill generates much more force so the number of BPM can be much lower. In most cases, rotary drills will have the same features as a standard drill e.g. 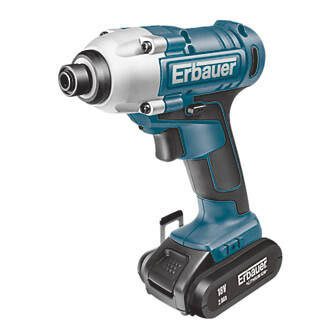 power on/off switch, forward and reverse, standard drilling or hammer drilling, but will also feature several unique ones. Depending on the type of rotary drill you have, you will either have 2 or 3 modes. The 2 mode will allow only standard and hammer drilling, whilst the 3 mode drill will allow standard drilling, hammer drilling and chiseling. Essentially, the chisel option allows you to just use the hammer action without the rotation, meaning that you can use it as a demolition hammer for breaking up masonry and concrete – very handy! 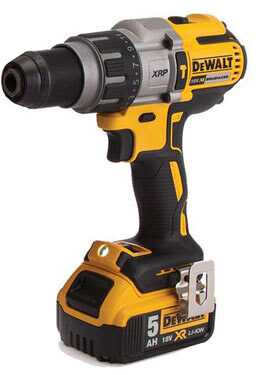 On the whole, the rotary hammer drill will operate at much slower speeds that the standard hammer drills because of the huge amounts of force they put out so in terms of power output, this will be somewhere between about 600w (for the smaller, base level tools) right up to around 1500w for the larger more capable drills. Due to the nature of this tool it uses a lot of power so in most situations they will be mains 240 or 110v powered, although you can get battery powered ones, anything decent will need at least a 36v battery or greater (up to 54v) and these tend to cost a huge amount. Unlike standard drills, the larger rotaries do require a little ongoing maintenance. On pretty much all variations there will be a small access point into the body of the drill so that you can periodically add grease to the transmission. On other difference that you may notice between these and their more standard counterparts is the chuck. Due to the levels of power and torque involved, all rotary drills will feature an SDS chuck as no amount of pressure from a keyed chuck would ever hold a drill bit firm enough. SDS stands for a fair few different things depending on what you are reading; slotted drilling system, special drilling system, specialist drilling system, slotted drive shaft, but it’s real name “Steck-Dreh-Sitz” meaning insert, twist, stay in German (as the system is German in origin). This system features a single slot chuck and to insert a drill bit or accessory, you pull the base of the chuck down, insert the bit, twist it and then release chuck, although there are some other variation in operation, the principles are similar. This system will hold any accessory firmly in place without the possibility of it turning. In terms of safety the larger more powerful drills normally feature a clutch or torque limiter that will cut in if the bit you are using bites or jams. 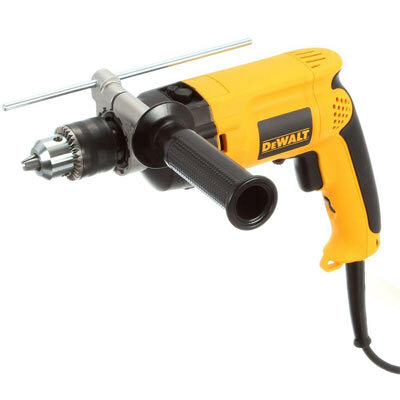 On the whole, these drills are mainly geared towards the trades, but if you are looking to add a new soil pipe through a wall or break up a concrete path, then this is the tool for you! As we have discussed, most drills and drivers will feature basically the same settings and features e.g. torque controls, speed controls, forward/reverse, hammer action etc, but some models and manufacturers like to go a little above and beyond in terms of their offerings and give the user a little extra. Here follows some additional features you might like to look out for if you are thinking of purchasing a hammer drill, combi drill or driver. This handy item protrudes out of the front of your drill and features a measurement gauge or ruler on it. Tis enables you to set the depth that you want to stop drilling at, so for example, if you only want to drill into a wall for 40mm, you can set the depth gauge to 40mm and as soon as you hit that depth, the gauge will touch the surface your drilling into and prevent you going any further. On some cheaper drills, tis gauge will be made of plastic which isn’t ideal as they often bend easily, so go for a drill that features a metal one if possible. Most manufacturers will also allow you to remove the depth gauge if you don’t want to use it so that it doesn’t get in the way. The majority of drills will feature a pistol-grip style handle where the trigger is mounted. When operating the drill, one hand will hold the pistol grip and operate the trigger, while the other hand is used to support the front of the drill. In the majority of cases, this is fine, but occasionally it’s much easier to use your drill if you can hold an additional handle. In this instance a drill with an optional, moveable handle is priceless. The majority of drills, even the cheaper ones, will supply a detachable handle that can be either screwed on to the left or right side of the body or even rotated around to any position you need it to be. If you don’t have one of these with your drill you can purchase them separately. This is a bit more of a specialist feature and one that is not that commonly available on many models. What this feature does is that when the power trigger or on/off trigger is released it stops the drill rotating immediately, rather than it naturally coming to a stop. Although this is pretty much a standard feature on many mid to upper tier combi drills, it’s not always available on the standard drill/drivers. 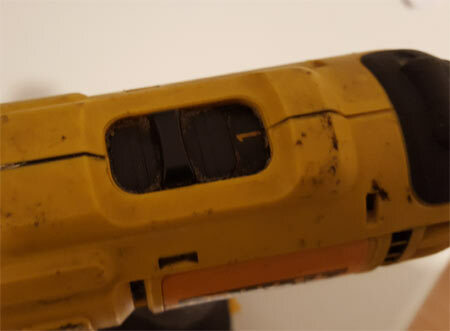 A small LED light is mounted on the front of the drill, just below the chuck and when the start/stop trigger is depressed, the ligh comes on. When the trigger is released the light stays on for 10 seconds or so afterwards. You may not think it but this is one of the most essential features to look for when purchasing a drill, it’s incredibly useful! It not only allows you to use it as a torch but also see what you are doing in dark and confined spaces. If you have ever tried to hold a torch under your chin or in your mouth so that you can see what you’re doing while screwing in a screw you will know how tricky and frustrating this can be. If possible, always get a drill with a light if you can! You may be thinking; I know how to use a drill, that’s easy, isn’t it? In most cases yes it is, but there are some things to be aware of before you get stuck in. Firstly, we need to select the correct bit for the job we are doing. If we are drilling we need a drill bit of the correct size, if we are screwing in a screw we need a screwdriver bit of the correct type e.g. flat head, pozi drive etc. Note: If you are screwing in a screw you should first drill out a pilot hole of the right size. Normally this will be somewhere between a 2 and 4mm pilot hole. 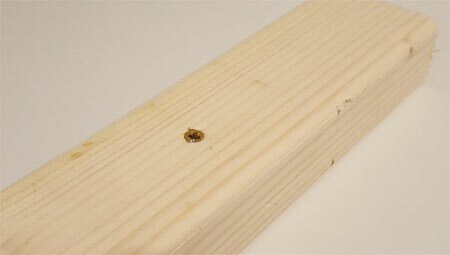 More info on drilling pilot holes can be found in our project here. 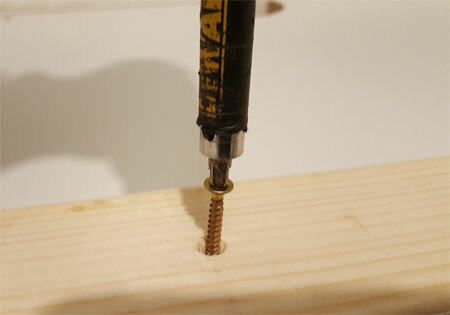 Mark the exact location your screw is going to be inserted and drill your pilot hole. With your pilot hole drilled, next, select the correct driver bit for your screw. As we are using a pozi-drive screw we will be using a standard pozi-drive screwdriver bit which we are going to insert into a bit holder and then into the chuck of our combi drill. Wind out the jaws of the chuck enough so that the bit holder can be inserted in. Once done, tighten the jaws fully so that the bit holder is held firmly in place. This may sound silly and pretty obvious but when the drill is running at full speed, it’s hard to tell which direction it’s rotating in! If your drill has a gearbox or seed selector, check this is set to the correct setting. Although you can technically both drill and screw at slow and high speeds, each will be infinitely better and easier when done at the right speed. If you are serious about your drill, this will be one of your most used settings, one that is frequently visited to ensure that you are using the correct amount of torque for the screw size you are using or the correct mode for the hole you are drilling. As we are inserting a smallish 1 1/2 inch screw into a piece of softwood pine, the timber itself is not going to give a lot of resistance in terms of pushing the screw in, so a lower to mid range torque setting is the one to go for, something around 6 – 7 should be suitable. With all of our checks completed to ensure we are using the correct settings for the job we are doing, it’s now time to screw in our screw. Place the screw tip in the pilot hole and apply a little pressure so that it stands up unsupported. Using your free hand, lightly grip the screw with your fingers below the screw head so that your fingers themselves are touching the timber. Position the drill so that the bit is inserted into the screw head fully, ensuring that the splines of the bit sit nicely into the recesses of the screw head. Before we start screwing the screw in, ensure that your drill is perfectly square and level to the direction you are going in. If not, the screw can go in off square and ruin the job. Start off screwing in the screw slowly by depressing the trigger only a little and build momentum as you go. Never go flat out straight away! If you have the correct torque setting selected, the clutch of your drill/driver should start to slip just as the head of the screw reaches the surface of the timber. If this doesn’t look like it’s happening, start to release the trigger to slow the rotation. Once your screw is in, remove the drill and stand back and admire your handy work!! As always – ensure that you are wearing the appropriate safety gear e.g. gloves, old clothing, eye protection, ear protection if needed etc. As we have seen, there is a huge range of different drills, hammer drills, drill/drivers, combi drills etc available on the market today, so before you buy one, take some time to really understand what you need it to do so that you can be sure you are really getting what you need.